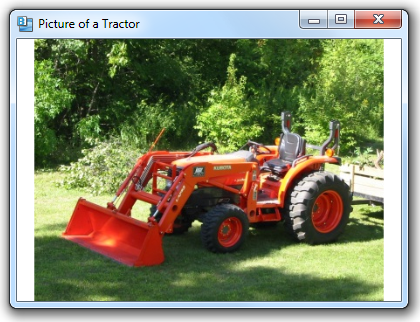 The Image control in WPF allows you to display an image in your user interface. The control can display an image that is stored in any of the following file types: .png, .jpg, .gif, .bmp, .ico, .wdp, or .tiff. You tell the Image control where to find the image content using the Source property. In the example below, Source points to a .jpg file on a web site using a URI, or Uniform Resource Identifier.